Award winning author James Alan Gardner pens a wonderfully imaginative tale in which a young woman wakes to find herself the sole human on an orbiting, mechanical space station. To find a way home, she must navigate the dangerous politics of war between opposing robot leaders. Popular urban fantasy writer Anthony Francis (Dakota Frost, Skindancer series) explores a clash of ethics and survival when a young, genetically engineered centauress from the ultra-advanced Alliance lays claim to a rare, strategic garden planet, only to find herself captured by a band of rag-tag Frontier refugees who've crashed their vintage ship on her unexpectedly hostile world. I don't tend to read many compilations of short stories or novella simply because I prefer a longer length for my books. This gives the author much more room for character development and I don't have to say goodbye to new friends quite as quickly. That being said when I saw that Anne Bishop was trying her hand at science fiction I just couldn't resist. A Host Of Leeches. I really can't decide just which one I preferred more. 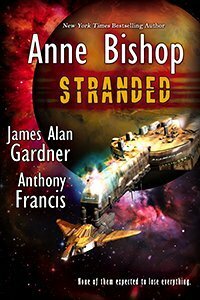 Stranded was my least favorite of the stories as it was 'harder' science fiction with more focus being on the science. I also found it difficult to relate to any of the characters in the story. 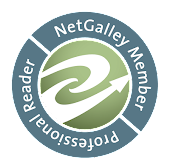 It was very well written though and I am sure that other readers will find it to be their favorite. I do recommend this book to any readers that enjoy science fiction. I found it suitable to readers of all ages even though the protagonists in each tale are teenagers. I rate this book a 3.7.